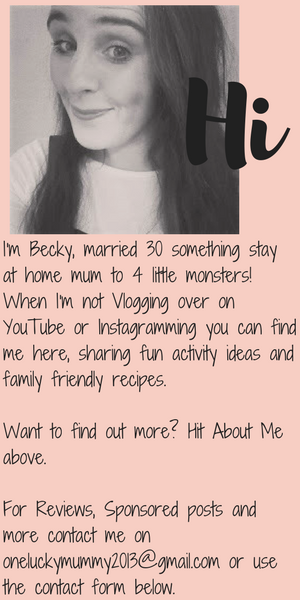 This post is is something I have wanted to start up for ages! 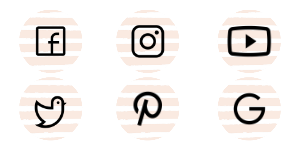 I LOVE meal planning, I love budgeting, I love providing my Instagram followers with easy no food waste ideas, and I love sharing meals idea on our YouTube channel, so it was only natural that this would progress to my blog, especially as I have been absent over here for so long! 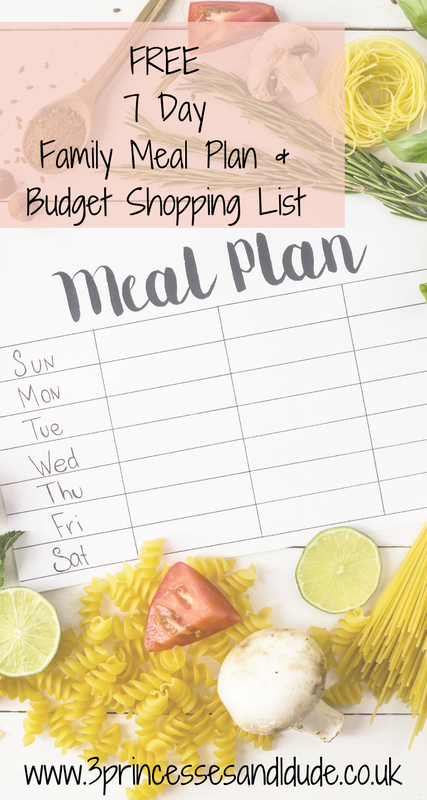 So without further ado, every month I will share a 7 day meal plan, along with a printable shopping list and meal plan, so you can read, print, shop and cook along with me! 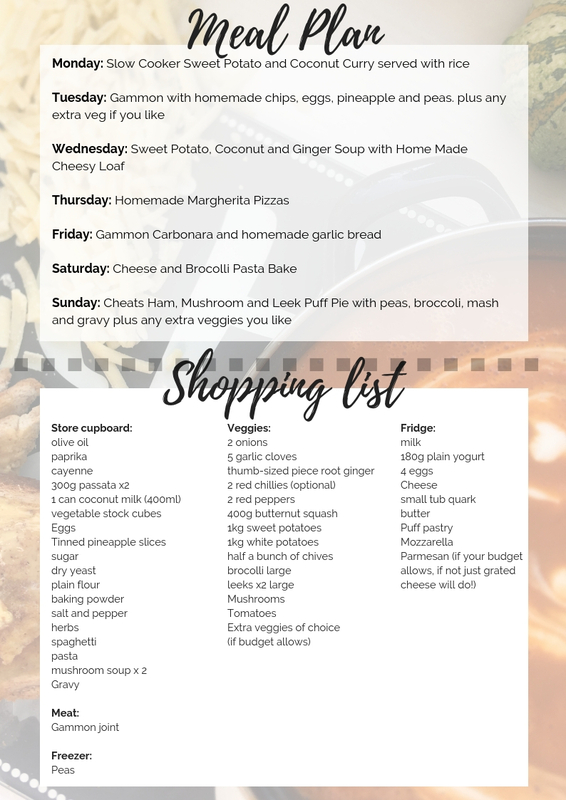 So as we move through the weeks, eventually your kitchen cupboards will have the basics, you may already have some basics in, so each week I want you to go check your cupboards, fridge and freezer and cross of anything you already have in! There is no point in buying olive oil or veg if you already have plenty in! 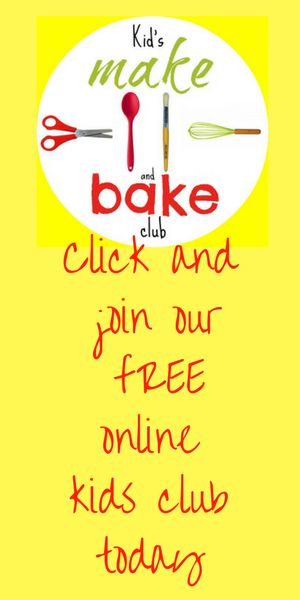 Not only will this ensure that when you come to do your 6 monthly cupboard clear out (more on this in the New Year!) you are not finding foods that are years old, it means that you are spending less each week too! I now have a big enough inventory that means some weeks we can get our shop for around £25 a week...for 6 of us! Top tip #1...Find out what time your local supermarket reduces its meat and veggies, especially if you have space in your freezer. We spend a few pounds each week on reduced yellow sticker bargains that we can freeze. This means in future weeks we have veggies and meats available for meal plans! Top Tip #2...Get used to ignoring the dates on things! Use your eyes, your nose and your common sense to tell you if something is edible or not! On Monday when you cook the slow cooker curry, cool and refrigerate (or freeze) the remainder for the soup later on Wednesday. Buy a slightly bigger gammon joint and after cooking it on Tuesday, shred the left overs, split it onto 3 and refrigerate 2 lots for the carbonara and the ham pie. On Wednesday TRIPLE the one for all dough mix and refrigerate 2/3's! That way you save time on Thursday when it comes to make pizza and on Friday when you come to make the garlic bread. On Sunday use up any leftover veggies that you have! Top Tip #3...Take a look around discount stores local to you. See what you can get cheaper in places like Poundland, Home Bargains etc. You can save yourself a pretty penny sometimes! 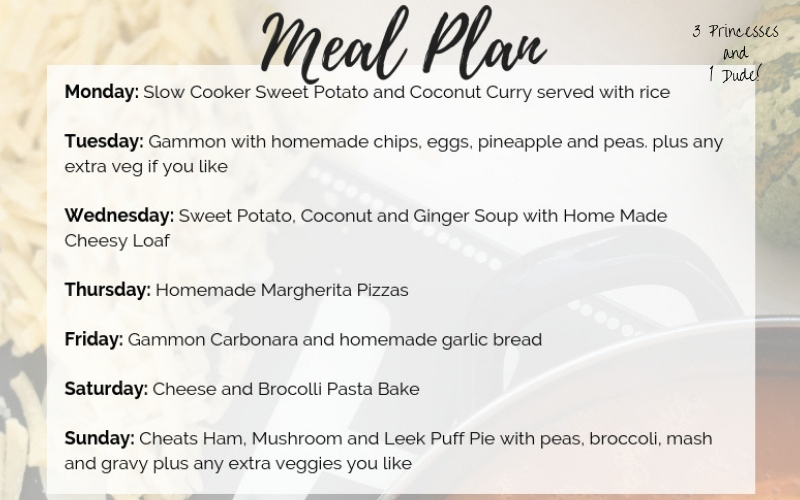 Print out your PDF meal plan and shopping list HERE! Alternative B&W Version here!